Helping you choose from a variety of styles, materials and accessories, our team ensures your vision is transformed into a stylish, beautifully crafted kitchen space. 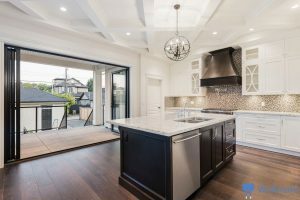 When you design your kitchen with JNR Cabinets, you get more than just a kitchen, you get a masterpiece that boasts all the features you desire for your custom kitchen. We guarantee that each kitchen that is designed and built by our team accentuates the values we cherish: Quality, Integrity, and Expertise. Every kitchen project we undertake is a work of art, from the initial ideas and concept stage to the final installation, we work with you to create a kitchen that is truly yours. 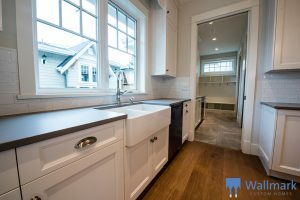 What makes a kitchen unique? The answer is the cabinets and layout, which is the foundation of the kitchen where the proper installation of materials is essential. JNR Cabinets has a highly qualified team of designers and installers that will ensure this process in done correctly. Our technicians have many years of experience in the field, ensuring your cabinets are installed perfectly. This is where luxury starts and will continue throughout the years. Consider JNR Cabinets for your cabinet installation.